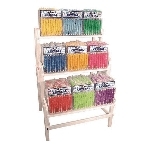 No more having to sort through page after page of wholesale candy to decide what will sell best, purchase one of these candy filled displays. These candy fixtures are stocked with the #1 selling candies so you can spend your time with the more important pursuit of the mighty dollar. 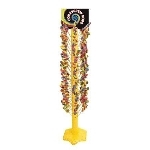 Add instant candy bliss to your store with full displays. 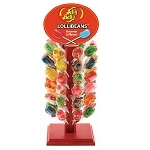 These pre-filled candy displays offer the easiest way to add candy to your store as a POP display or add a unique candy fixture that will take center stage and draw attention with ease. Need to add a retail candy fixture that will draw them in? Try a Formula Sour Bubble Display. 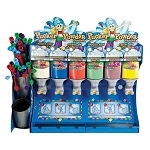 This novelty candy display glows with lights and incorporates flowing bubbles to entice them all in to your store. 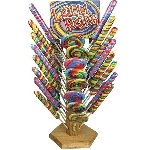 Kids and adults will stop and stare at this unique candy tower. 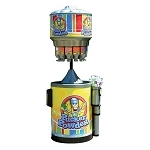 Young children will love to come visit and select their favorite candy treat. Our candy display packages will get you off to a great start!